Credit: Cushing, Thomas, History of Allegheny County, (2 vols.). Chicago: A. Warner, 1889. 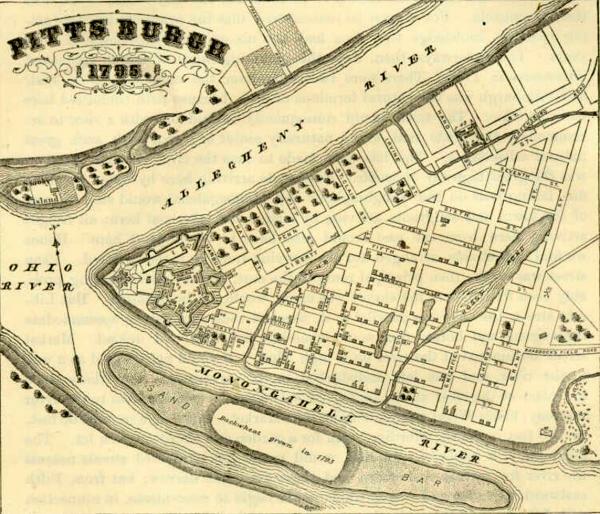 Pittsburgh as laid out in 1795.